Late nights out are no excuse for sleeping in your makeup anymore. 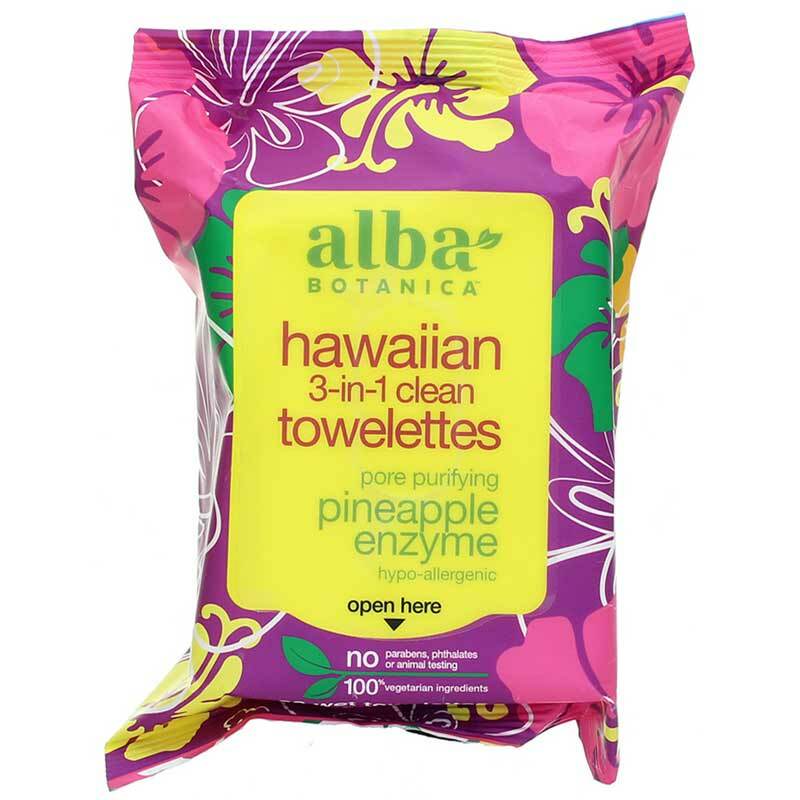 These Natural Hawaiian 3-in-1 Clean Towelettes help remove makeup, cleanse and tone your skin in one convenient step with pineapple and papaya enzymes, aloe and awapuhi. Great for frequent travelers, camping, or every-day use. These easy-to-use towelettes feature natural botanicals to help remove makeup, cleanse and tone skin gently, in one step, with no need to rinse afterward. Anyone who wants to save time (and water) while washing their face will appreciate these facial cleansing towelettes, which use natural pineapple, papaya, aloe and awapuhi to help refresh and tone skin. If you're a frequent flyer, a busy student, a camping enthusiast or have an active nightlife, these towelettes offer a super-simple solution to your skin-care needs. Order yours now! Wipe face and neck to gently remove makeup, oils and other skin impurities. Leaves no residue so there is no need to rinse. 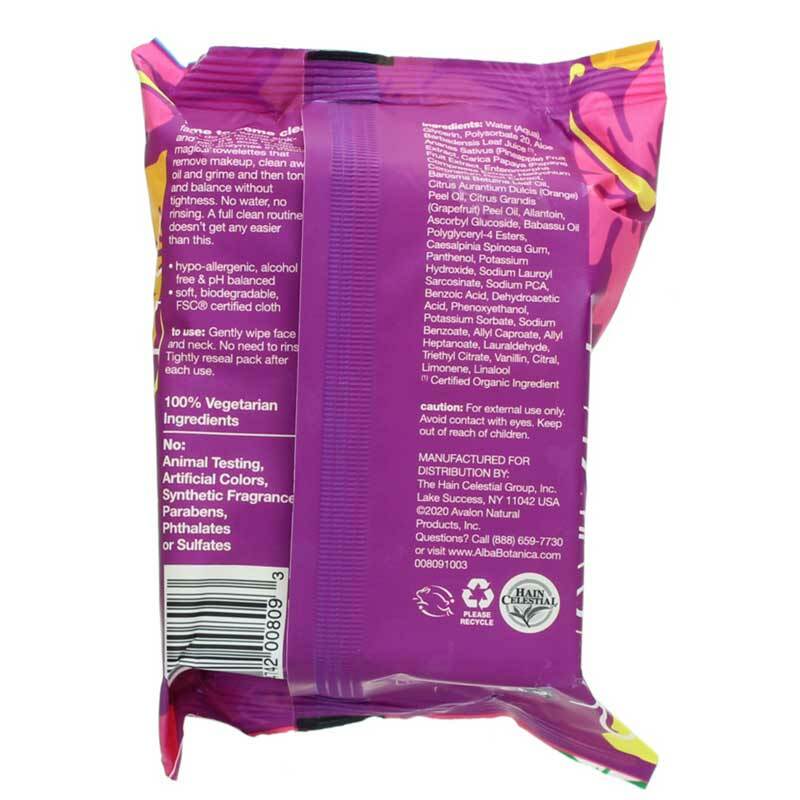 Tightly reseal pack after each use. I like using the Hawaiian 3-in-1 clean towelettes in the evening. It really gets my face clean and ready for my night cream and it is great that there is no need to rinse. It is also easy to take along when traveling! A very refreshing product. Especially if you are in a hurry. I really enjoy the c!ean fragrance.I would recommend them .